WILMINGTON, Del. – Governor John Carney has selected Brig. Gen. Michael Berry as the next Adjutant General for the Delaware National Guard. Adjutant General is a Cabinet position and Governor Carney’s nomination of General Berry must be confirmed by the Delaware Senate. Berry would replace current Adjutant General, Maj. Gen. Carol Timmons. Timmons has announced her retirement, effective March 2019, when she will complete 42 years military service. Berry is a combat veteran, with 30 years military service. He currently serves as the Director of the Delaware National Guard’s Joint Staff and is responsible for efforts in Domestic Operations and Military Support to Civil Authorities. 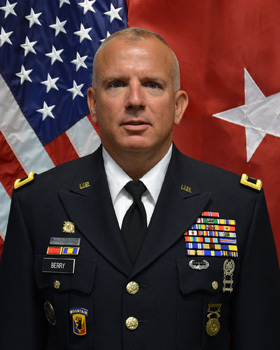 Prior to serving as Director of the Joint Staff, he was assigned as the Delaware Army National Guard’s Land Component Commander. In that role, he was responsible for organizational planning, training, and support to combatant commanders. He holds a number of commands at the Brigade, Battalion and Company level, and in 2010, was the commander of the Delaware Army National Guard Embedded Training Team and lead a deployment to Bamyan, Afghanistan. During that year-long tour, he and his team were was responsible for training Afghanistan National Police and Defense Forces in the province. Berry was a Lieutenant, and recently retired after 28 years from the Delaware State Police as Deputy Troop Commander, Delaware State Police Troop 4 in Georgetown. He holds a Bachelor’s Degree in Criminal Justice from the University of Delaware, where he earned his commission through the Reserve Officers’ Training Corps, and a Master’s Degree in Strategic Studies from the U.S. Army War College. Timmons has served as Adjutant General for the Delaware National Guard since February 2017 and will retire after a combined 42 years military service in the Delaware Army National Guard, Air Force Reserve, and Delaware Air National Guard. She is a veteran of seven overseas combat deployments and has more than 400 combat flight hours. She is a pilot with more than 5,200 hours flying UH-1 “Huey” helicopters, and C-141 & C-130 aircrafts. Prior to serving as the Adjutant General, Timmons worked full time for United Airlines. Timmons earned her commission in 1980 at Officer Candidate School, Fort Benning, Georgia, where she graduated with honors. She received an Associate’s Degree in Criminal Justice from Delaware Technical Community College and later named a Distinguished Alumna in 2012. She holds a Bachelor’s Degree in Business Management from Wilmington University, as well as a Master’s Degree in Public Administration. She is a 2006 graduate of the U.S. Air Force War College. She is the Delaware National Guard’s first female two-star general and first female Adjutant General. She chairs the National Guard’s Joint Diversity Executive Council, and serves on both the Air Force Reserve Policy Committee and the Board of the National Guard Association of the United States. She is a member of the Delaware Aviation Hall of Fame and Delaware Women’s Hall of Fame. Click here for a photo of Brigadier General Michael Berry. Governor Carney nominated Cerron Cade as Secretary of Labor earlier this month. Last year, as Acting Director of the Delaware Economic Development Office (DEDO), Cade managed the dissolution of DEDO and the creation of the new Division of Small Business, Development, and Tourism within the Delaware Department of State. Currently, he serves as the Division’s Director, leading a team responsible for providing key services to Delaware businesses, administration of the Delaware Strategic Fund, and marketing Delaware as a premier tourist destination. During his time at DEDO and the newly-created division, Cade has led the state’s efforts to attract businesses and good-paying jobs to Delaware, keep them here, and ensure that Delaware remains a leading state for businesses to grow and thrive. 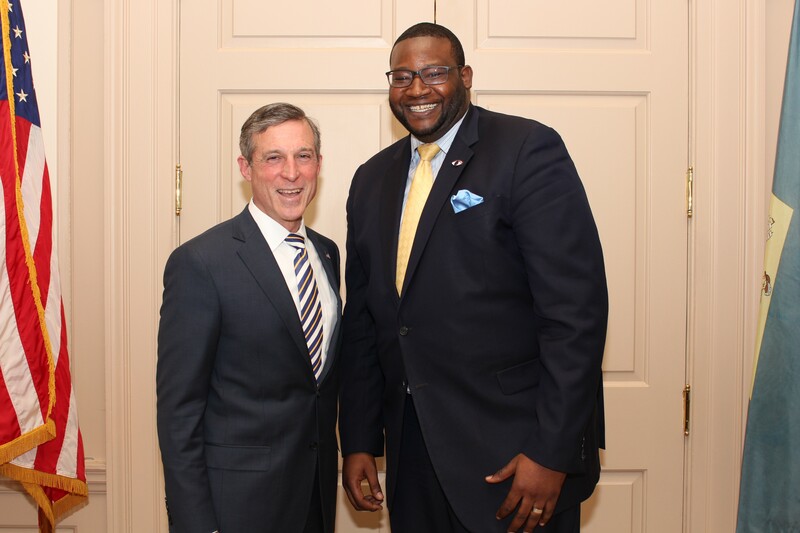 If confirmed by members of the Delaware Senate, he will bring that experience to the Department of Labor, where he will lead state efforts to connect Delaware businesses with talented workers, and develop relevant workforce development and training programs. Cade grew up in Washington D.C. and moved to Delaware to study Political Science and Law Studies at Delaware State University. Driven by a desire to make a positive impact and following his passion for public service, Cade has worked as a Legislative Aide for the Delaware State House of Representatives, New Castle County Deputy County Director for U.S. Senator Tom Carper and State Projects Director for then-Congressman John Carney. Cade joined Governor Jack Markell’s staff as Legislative Liaison in 2015. Last summer, Governor Carney appointed Cade to serve as DEDO’s Acting Director to lead the office’s transition, where he previously served as Deputy Director. Cade lives in Wilmington with his wife, Kasmira, and two daughters, Jonnie and Toni. WILMINGTON, Del. 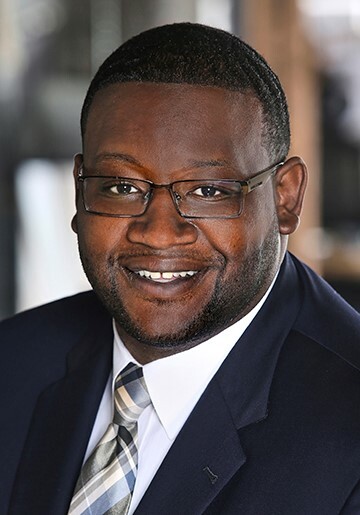 – Governor John Carney on Tuesday announced his nomination of Cerron Cade – Director of the Delaware Division of Small Business, Development, and Tourism – to serve as the next Secretary of the Delaware Department of Labor. Cade’s nomination must be approved by the Delaware Senate. As Labor Secretary, Cade would lead a 420-employee department that oversees workforce development and training programs for the State of Delaware, unemployment insurance programs, labor law enforcement, and economic forecasting for the state. Cade would replace Secretary Patrice Gilliam-Johnson, who will join Delaware State University as Dean of Graduate, Adult, and Continuing Studies next month. Gilliam-Johnson will leave office as Labor Secretary on February 2.